STAR TREK: HORIZON creator TOMMY KRAFT releases his short film RUNAWAY! 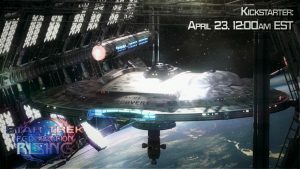 TOMMY KRAFT became the first Star Trek fan filmmaker to be “shut down” in the period after CBS and Paramount filed their lawsuit against Axanar. In February of 2016, Tommy released the amazing STAR TREK: HORIZON, a 104-minute Star Trek fan film produced quite literally in Tommy’s parents’ basement for a production budget of only $28,000. The film was set in the era of Star Trek: Enterprise during the Romulan War and featured the crew of the USS Discovery NX-04. 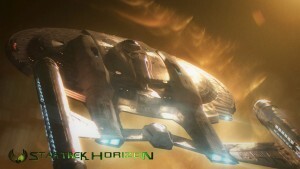 Although Tommy initially said there would be no Horizon sequel, the exuberant fan response led him to reconsider, and by April, Tommy was planning to launch a new Kickstarter to fund Federation Rising, once again featuring the crew of the USS Discovery NX-04. In hindsight, we now know that Tommy had unknowingly chosen a Starfleet vessel with the same name as the upcoming new Star Trek television series. But all we knew back then was that Tommy was contacted by CBS days before the launch of his Kickstarter campaign and told in no uncertain terms that they would strongly advise him against moving forward in any way with his project. They weren’t belligerent or threatening; they were simply reaching out proactively…in much the same way they did NOT do with Axanar. Hoping to avoid the same fate as that other fan film project that he had worked on (yep, Tommy was on the production team for Prelude to Axanar), Tommy opted to shut down his project before it could even get to the launch pad. You can read Tommy’s statement here. Instead, Tommy and his production partner, Ryan Webber, decided to create an original non-Star Trek production titled PROJECT DISCOVERY, examining mankind’s earliest forays into manned interplanetary spaceflight in the mid-21st century. Tommy and Ryan launched a Kickstarter campaign in late April with a 2-month time frame and an ambitious goal of $250,000. Although they got off to a strong start, just short of a month into the campaign, pledges had stalled in the $17,000 range. Reluctantly, Tommy and Ryan canceled the Kickstarter and decided to pursue other projects. Tommy moved onto a new non-Trek film production called RUNAWAY. And this time, not only was he successful with his Kickstarter, he has knocked the project out of the ballpark! Author Jonathan LanePosted on March 5, 2017 March 5, 2017 Categories Fan Film Features, NewsTags Harrison Heller, Runaway, Tommy Kraft12 Comments on STAR TREK: HORIZON creator TOMMY KRAFT releases his short film RUNAWAY! TOMMY KRAFT’S “RUNAWAY” Kickstarter has just a few hours left! Don’t panic! Tommy Kraft, creator of the hugely popular Star Trek: Horizon fan film, has already reached and exceeded the $13,000 Kickstarter goal he set for his new non-Star Trek independent sci-fi film Runaway. In fact, he’s nearly reached $18,000! If you’d like to try to help Tommy reach $20,000, you have until midnight Eastern Time to make a donation. Click here to visit the Runaway Kickstarter page. UPDATE: Runaway finished up with an impressive total of $18,830 from 226 backers (including $35 from yours truly) pledged to help bring Tommy Kraft’s project to life! Yay, Tommy!!! TOMMY KRAFT’S new Kickstarter campaign reaches $10,000 with 8 days to go! Even though Runaway isn’t a Star Trek fan film, Tommy Kraft is a beloved enough Star Trek fan filmmaker that we’re keeping an eye on his latest Kickstarter campaign. With a goal of $13,000, the light at the end of the tunnel is getting brighter. But it’s not over yet! With just over a week to go, Tommy still needs to raise about $3,000 more or else he’ll get zero/zilch/zip/nada from Kickstarter for all of his efforts. 147 backers have gotten Tommy 77% of the way to his goal. Another 50 or so should put him over. Set to be filmed in the style of a cyberpunk western, Runaway will focus on Maria, an android on the run–falsely accused of murdering her master. Pursued through the forest by ruthless bounty hunters, Maria struggles to reach the Free States and maybe discover her humanity along the way. To find out more and/or to donate to Tommy’s project, click here to visit his Kickstarter page. Okay, folks, now THIS one is intriguing! As many of you probably know, TOMMY KRAFT is the fan dynamo who wrote, produced, directed, and did about six dozen other things on the wildly popular Star Trek: Horizon feature-length fan film (currently at 1.75 million views on YouTube!). 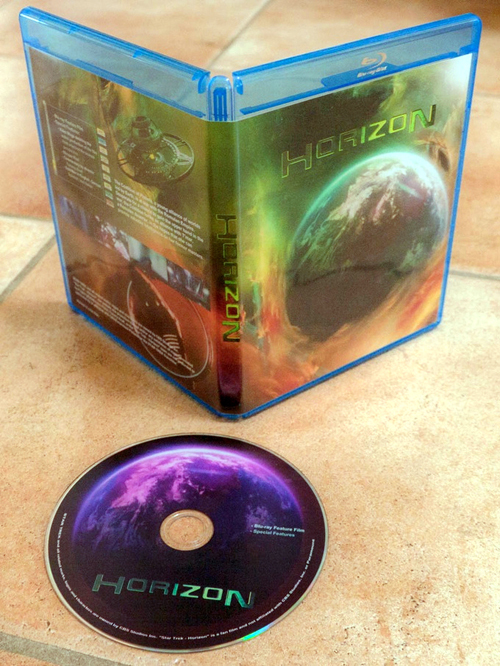 Shortly after releasing Horizon in late February, Tommy announced a Kickstarter for a sequel and was quickly contacted by CBS and strongly advised not to proceed with his new endeavor. Fast forward to this week, and Tommy Kraft has just launched a brand new Kickstarter for a short film called Runaway, set in the not-too-distant future where an android fights for her life as she races to get to the Free States. He’s seeking $13,000 and has already raised about $4,000 in pledges from 55 backers…one of whom is me. I pledged $35. 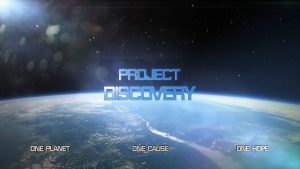 PROJECT DISCOVERY cancels their Kickstarter campaign! 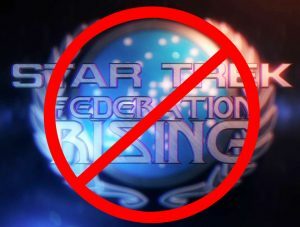 TOMMY KRAFT, who rocketed to fan film fame with his amazing Star Trek: Horizon full-length feature, was called by CBS and told not to proceed with announced plans for a sequel he intended to call Federation Rising. Instead, Tommy and his production partner Ryan Webber decided to create an original project titled PROJECT DISCOVERY, examining mankind’s earliest forays into manned interplanetary spaceflight in the mid-21st century. Tommy and Ryan launched a Kickstarter campaign in late April with a 2-month time frame and an ambitious goal of $250,000. Although they got off to a strong start, just short of a month into the campaign, pledges had stalled in the $17-18,000 range…barely 7% of the way to the goal while approaching the half-way point. TOMMY KRAFT, the dynamo behind the hugely successful NX-01-era fan film STAR TREK: HORIZON, is currently raising money for his next production, PROJECT: DISCOVERY. Although not specifically a Star Trek fan film, it now has a definite Star Trek tie-in. 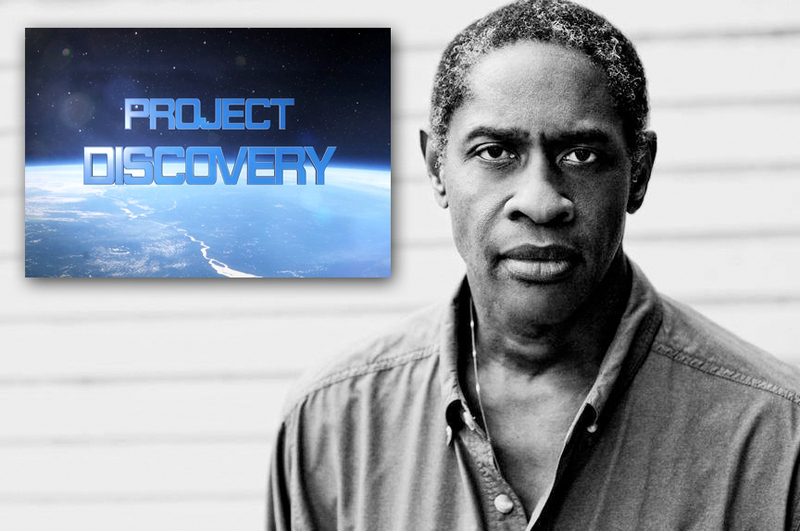 Tommy just announced that TIM RUSS, the actor who played Security Chief Tuvok on Star Trek: Voyager, will be joining the cast as director of the Earth Space Agency for Project Discovery. The new, ambitious fan film has an equally ambitious Kickstarter goal of $250,000. Right now, with 41 days left to go, the pledged total stands at just over $17,000…respectable, but there is a LONG way to go! If you can, please consider helping with a donation of your own. Remember that, if this Kickstarter campaign does not reach its goal, your credit card will not be charged. Click here to visit the Project Discovery Kickstarter page. Tommy Kraft announces SEQUEL to STAR TREK: HORIZON! With nearly a million Youtube views in less than two months (!!! 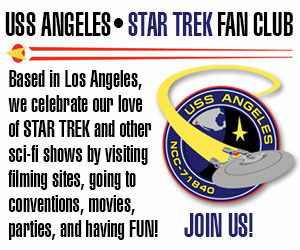 ), the message was coming through loud and clear that fans loved STAR TREK: HORIZON and wanted more! Earlier today, show-runner TOMMY KRAFT announced plans to produce STAR TREK – FEDERATION RISING, leading off with a Kickstarter campaign beginning NEXT WEEK!